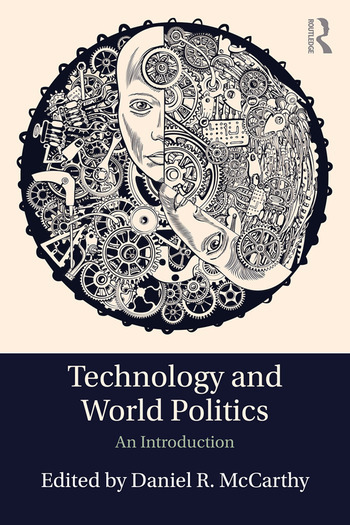 This edited volume provides a convenient entry point to the cutting-edge field of the international politics of technology, in an interesting and informative manner. Technology and World Politics introduces its readers to different approaches to technology in global politics through a survey of emerging fusions of Science and Technology Studies and International Relations. The theoretical approaches to the subject include the Social Construction of Technology, Actor-Network Theory, the Critical Theory of Technology, and New Materialist and Posthumanist approaches. Considering how such theoretical approaches can be used to analyse concrete political issues such as the politics of nuclear weapons, Internet governance, shipping containers, the revolution in military affairs, space technologies, and the geopolitics of the Anthropocene, the volume stresses the socially constructed and inherently political nature of technological objects. Providing the theoretical background to approach the politics of technology in a sophisticated manner alongside a glossary and guide to further reading for newcomers, this volume is a vital resource for both students and scholars focusing on politics and international relations. Daniel R. McCarthy is Lecturer in International Relations in the School of Social and Political Sciences at the University of Melbourne. His research interests are International Relations Theory, Science and Technology Studies, American Foreign Policy and the politics of transparency.